And then there are so many other studies out there suggesting that long-form contents get more backlinks, more number of shares and that they are overall good for SEO. Yes, they are all RIGHT! BUT then does that mean EVERYONE should write blog posts spanning into 2000+ words count? Yes, long, in-depth articles are good. But does that mean the short ones are bad? It’s a fairly broad (and fatal) assumption of many who argue for longer contents that short-form blog posts are bad in quality. Fact is: There are many niches that don’t necessarily require writers to shell endless length of contents. One doesn’t need to write a 2000-word long article to teach a recipe of caprese pasta salad. It’s outright absurd (and impossible) to write long content just to answer where people can watch NBA game live tonight. There are many niches and blogs where short-form contents fit adequately well. It’s a clichéd tip, seemingly coming from experts, but it is true — Write for humans and not search engines. And the fact is: humans do not have the time to read 10+ minute long articles. And those who do, their attention span is low. 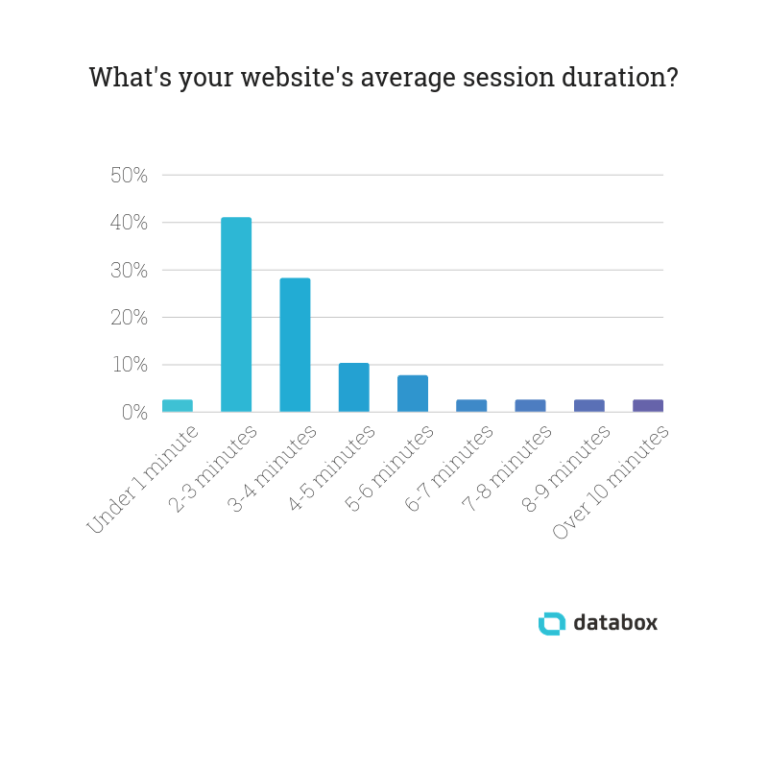 And this is quite evident if you look at the average session duration or time spent on site. 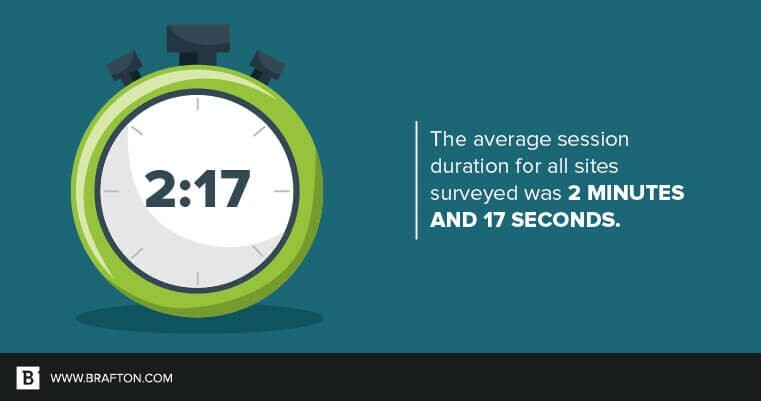 Another data from a survey, done by Brafton, suggests that the average session duration is 2 minutes and 17 seconds. So, if someone is really looking to deliver a good UX to the visitors, instead of serving long-form article, they should provide them with targeted, smart contents that adequately fits their needs. On Spell Out Marketing, I publish a combination of long-form and short-form blog posts, whichever fits my requirement. 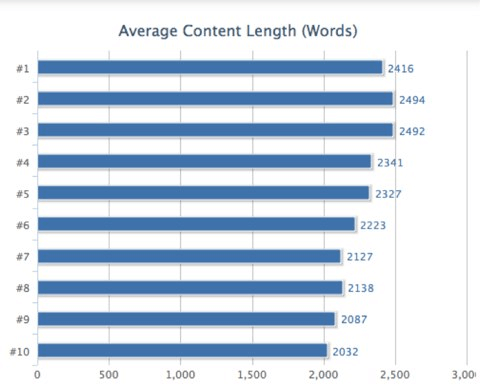 Some go as low as 350 words, others go as high as 10,000 words. I am trying to target the needs and problems of my audience. Sometimes it requires a bigger explanation. Other times it can be summed up in just a few hundred words count. To that, as a blogger (who also has a full-time job), I find it difficult to stay focus when writing lengthy blog posts. It takes about 3–5 days. Over the course, I lose interest. The motivation to write a kickass post fades. And not publishing anything on my blog for a stretch further reduces my productivity and makes me feel bad. Contrarily, the short-form contents are quick to complete. They are more focused. They address the problems of the target audience very directly. And moreover, it leaves me with a decent time to focus on the other aspects of managing a blog (and also daily blogging on Medium). Be Sensible. Respect Visitors’ Time. Don’t write long blog posts unnecessarily. Understand the need of your target audience. Respect their time. Say all that you have to say in your blog post freely without caring about the words count. Whether it takes just 100 words or 10,000 — it doesn’t matter. PRO TIP: When writing short content (and even long ones), focus big on internal linking. The right linking strategy is essential to keep your bounce rate less and session duration high. I have talked about this topic more in detail on my blog. If you want to read, check out: The Myth Of 1,890 Words Long Articles. Insights, strategies and stories of Spell Out Marketing’s growth. How the blog is getting traffic and making money. Get inside a blogger’s head.